Which is bigger, 10 or 22? 2016 was a pretty big year for Backendless. There is a steady stream of developer sign-ups for the Backendless Cloud version, fueled in part by the impeding closure of Parse. The ever increasing API traffic generated by the apps and the growing developer activity resulted in stability problems towards the end of 2016. There were outages and timeouts and we were working around the clock to stabilize the system. There were multiple changes as a result of that effort. We have expanded the server capacity by adding more powerful servers, made changes in the core product to improve stability and enhanced the monitoring facility (the system is being monitored 24×7 by our system administration team). The result is exactly what we wanted to see – the system has been running smoothly ever since. There are three pricing plans to choose from. The entry level plan will remain free and will include the minimally required set of features one would need to build and launch an app. Once you need more backend resources, you can switch to a paid plan. There are two paid plans: Cloud 9 ($25/month) and Cloud 99 ($99/month). Paid plans have functional limits which can be increased or removed by purchasing function packs from the Marketplace. You can see the new billing plans on the Backendless Cloud Pricing page. The service will be updated with support for new pricing on February 1st. If your application uses more resources than provided by the new free plan, you will be notified by email. If the free plan does not meet the needs of the application, a paid plan must be selected no later than February 7th. If you have any questions, please contact the sales team at: sales@backendless.com. We wish you a happy, peaceful, prosperous, productive and totally Backendless new year! We have grand plans for this year and are very excited about all the cool things we have been working on which we will be releasing very soon. The new version 4 of Backendless is absolutely remarkable and we can’t wait for you to try it out. 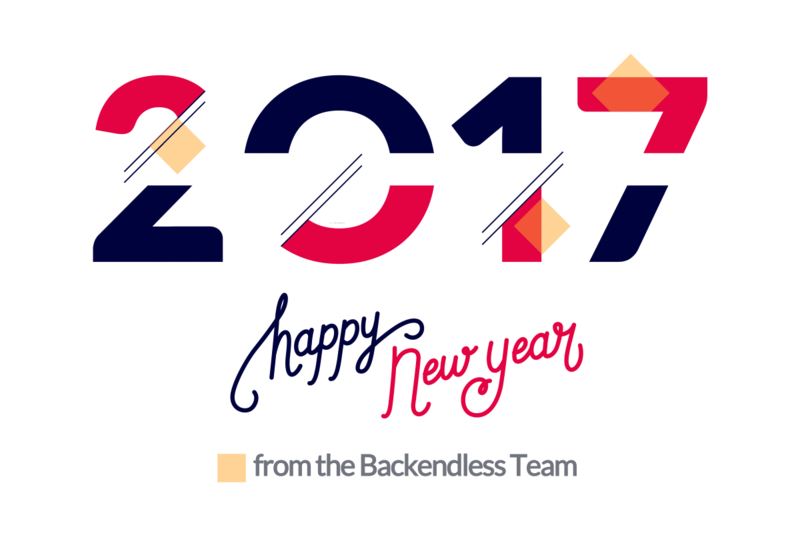 Thank you for building with Backendless and here’s to a great new year!